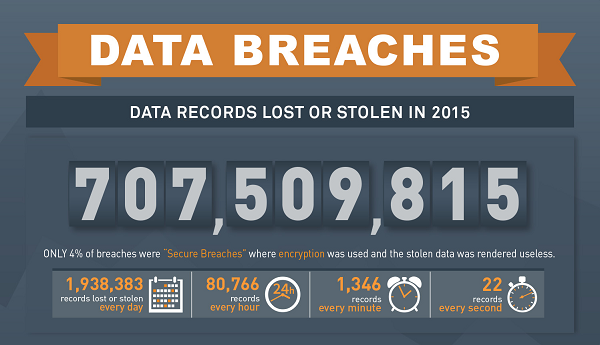 According to TechWorld, there have been 888 incidents and 246 million records breached only in the first half of 2015. By the end of that same year, the number had reached 707,509,815. In other words, over seven hundred and seven million files were either stolen or lost due to data breaches in 2015 alone. This is a scary-big number. The files that had fallen victims of data breaches included photos, video and most importantly private and sensitive business Information: social security numbers, credit card numbers, addresses, phone numbers, emails, contracts, legal documents, client data and much, much more. Imagine the losses that businesses and private persons suffered. Let’s take a look at the most prominent hack attacks and security breaches of 2015, courtesy of Forbes. We’ll start at the one with the smallest impact and will climb through the one with most devastating effect. Many companies use Slack for the sake of better communication and reduced email. This way a lot of company information is being shared through the platform – and this is information that is most often private (we’ve talked about the human factor in losing company data in this post (link to Vanina’s post)). When Slack was hacked in March last year, the number of compromised records was estimated at above 500,000. This includes email addresses and other personal account data. Hacking Team is an Italian company that develops spy tools for government agencies. A firm known to employ some of the best hackers in the world to gets hacked, and (the irony aside) this means that nobody is safe. The damage?1,000,000emails together with a full list of their customers including military, police, federal and provincial governments. Recently David Vincenzetti, CEO of Hacking Team, shared the following insight: “Criminals and terrorists today routinely use Internet secrecy and end-to-end encryption to rob, kill and terrorize whole populations”. As most of you know Kaspersky is a company which sells embedded security systems. Yet another example to back up the Hacking Team breach and show that even companies that are very conscious of their security can be hacked. LassPass is a password management company that keeps all your passwords safe in one place so you can log into any account you saved without typing anything. The aftermath of their hit was approximately 7,000,000 records including emails, password reminders, and authentication hashes. Ouch. The Ashley Madison breach exposed 37,000,000 records have been compromised and posted for anyone to download. The records included not only emails and names but also addresses, phone numbers, bank details, and so on. This is why this attack is considered one of the biggest and scariest hacks in the history of the internet. Anthem is a large health insurance provider so imagine the kind of data they collect and keep on record. In the beginning of 2015 they suffered an attack that let the culprits strip the company off 80,000,000 records including names, date of birth, social security numbers, health-care IDs, home addresses, email addresses, employment information, income data and more, i.e. anything one would possibly need to steal identities and ruin people’s lives, as well as Anthem’s reputation. In all fairness, all the above companies recovered from the data breaches and continued operations with (we hope) more sophisticated ways to protect their data. Nonetheless, this list is a perfect example of the reality and harshness of cybercrime. The attacks we listed also come to illustrate the fact that online security breaches can happen to anyone. Take a look at the infographic above. As you can see, the first 4 reasons for data breaches all have the “human factor” included in them, and only a third of the data breaches occur due to a technical failure. Intentionally or not, people make mistakes and give away sensitive data. The good news is, people also have the ability to learn from mistakes and improve. Combine this with the fact that it’s the 21st century and technology has matured enough to make file encryption much easier that has ever been before, and you have a recipe for the data protection. Let’s make things easy for you: in the following paragraphs, I am going to show you how to grant yourself the highest level of security and encrypt your sensitive data in 1 minute or less. Keep reading! So far client-side and zero-knowledge encryption is the best way to store files. According to Webopedia, this is the most effective way to achieve data security. To read an encrypted file, you must have access to a secret key or password that enables you to decrypt it. Unencrypted data is called plain text; encrypted data is referred to as cipher text. Not everyone does encryption properly, though, and we at pCloud pride ourselves for being one of the best in this area. We were 6th for Best Cloud Storage Services for 2015/2016 by PC Advisor, and in 2016 we were named Best Security Cloud Platform by Cloud &DevOps World Awards. In less than 3 years we gained the trust of 5,000,000+ active users, and this figure grows bigger and bigger by the day. When we launched our dedicated encryption service pCloud Crypto, we figured that the best way to show people how great it is, was to invite people to try and hack it. We launched the Crypto Hacking Challenge and we offered $100,000 to anyone who manages to break into our Crypto Folder. 2260 Hackers tried and every one of them failed. You would rather read? No problem, here’s our step-by-step guide in writing. Go to pCloud.com and click on “Try for Free”. You will see the following screen; type in your email and password and click “Get started”. You’ll be redirected to the screen where you create the Crypto Folder. 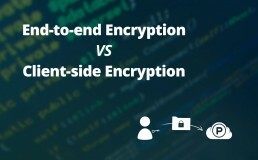 Client-side encryption is an optional second layer of encryption with one important difference:it is performed locally, within your browser or computer, and the private key (which is basically just another password) is never transmitted to the server. Your note is converted to an encrypted string within your browser and sent up to the server after which the string is encrypted all over again using the regular AES256 encryption functionality. What this basically means is that pCloud never knows what you encrypt or what is your encryption key. Remember this because on this step you must set up your “Crypto Folder” with a password that ONLY YOU will know. Which means ONLY YOU will be able to access this folder and view the files in it and in case you ever forget it, we will not be able to restore it for you and all the files in the “Crypto Folder” will be locked forever. Choose your password very wisely and make sure to remember it! If you decide to reset the folder, all the files in it will be deleted. So I repeat, choose your password very carefully. *Enter a hint if you need to. Once you do all this, just click on “Create a Crypto Folder”. Now that you have created your Crypto folder, just give pCloud a few seconds to generate your Unique Encryption Key. Now you can upload your private data from the big blue button in the upper right corner of the screen that says “Upload”. What can you store in pCloud Crypto? Passwords, videos, photos, music, text documents, spreadsheets, bluewhat prints or any other type of file, really. If you want to unlock the folder, simply type in your Crypto password and you’ll get access to your private and sensitive files. As an added bonus,pCloud and its Crypto Feature can be used on every device so you can access your data whenever you need it. We recommend that you download pCloud for your desktop PC (Windows, OSX and Linux are all supported). Unlike Dropbox, our desktop app DOES NOT take any space on your computer hard drive – all of your files are in the cloud but you can still work on them as if they are on your PC. Not only will your information protected but you will also extend your HDD with a virtual drive! 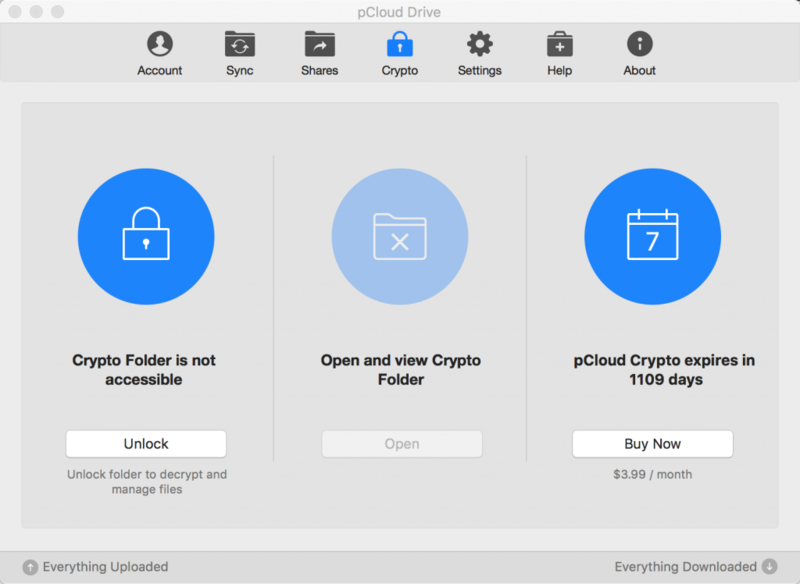 If you are ready to activate pCloud Crypto, don’t waste any more time and buy yourself the peace of mind that none of your files will ever get into the hands of an unauthorized person: Get pCloud Crypto. Hope you found this interesting and helpful.If you did, please share with friends so they can protect their files too!